While much of the mountain bike industry has moved production over to the Far East, as we found out during the Bespoke handmade bike show in Bristol, you can still find a bustling array of small UK-owned bike companies these days who are delivering gorgeous handmade frames for those in the market who are specifically looking to support local. 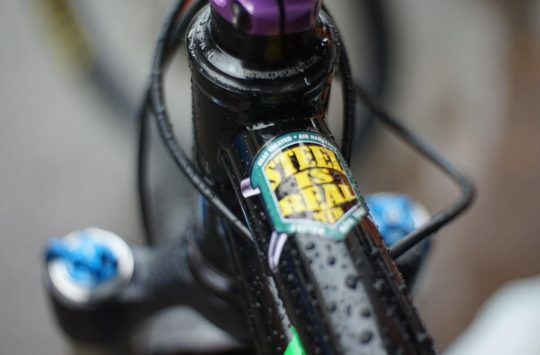 Many of these local framebuilders choose to work with steel tubing, but while there are plenty of boutique road-oriented brands, it’s still not so common to find locally made steel mountain bike frames. And it’s even rarer again to find local framebuilders manufacturing full suspension frames out of steel. 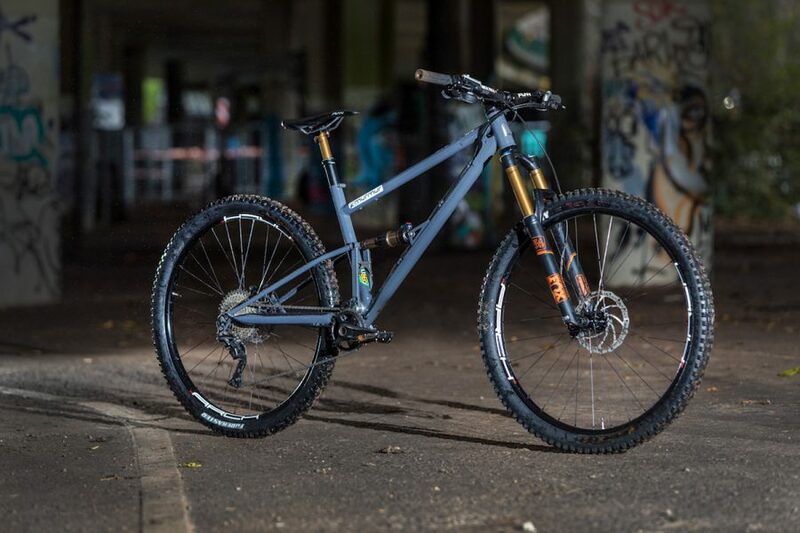 One small company based out of Bristol is making steel full suspension frames, and that brand is called Starling Cycles. 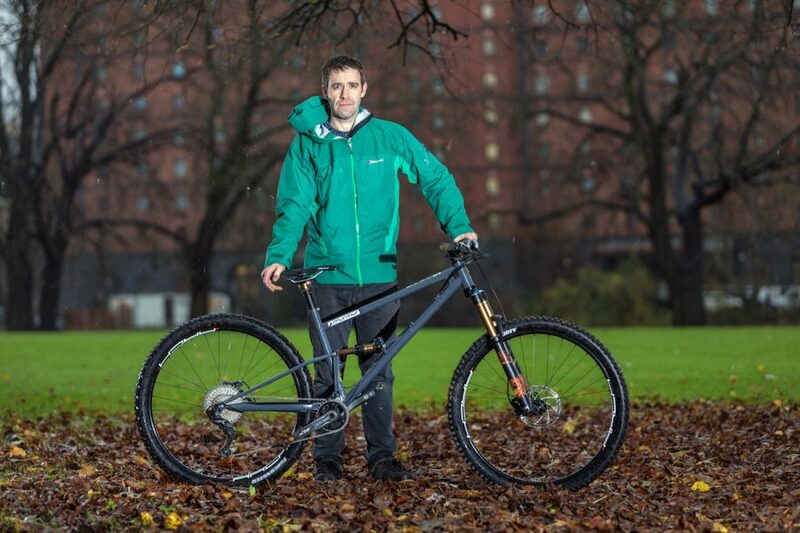 Starling Cycles main man, Joe McEwan, poses with his new long travel creation; the Murmur 29er. You may recall that we featured the Starling Swoop back in April, when we shot it at the Bespoke UK Handmade Bike Show. 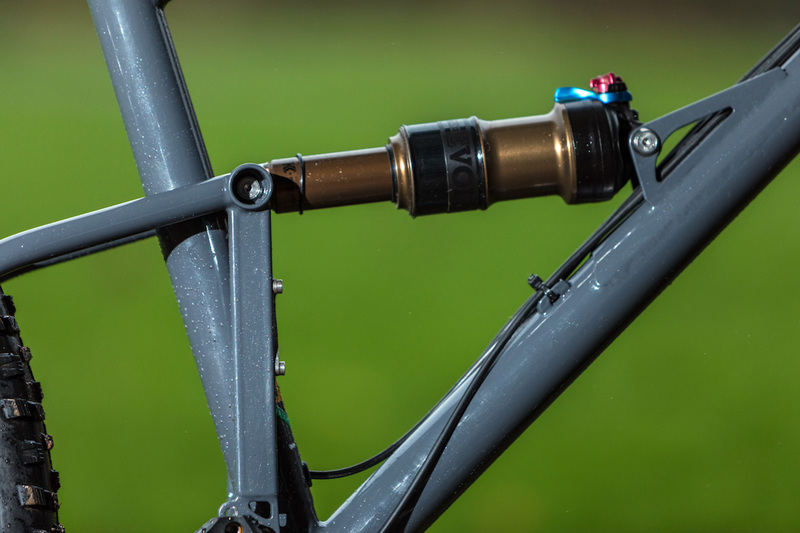 Two months later, Antony had the pleasure of interviewing Joe McEwan of Starling Cycles, to learn more about McEwan’s background and why he made the decision to build his own mountain bike frames and the reasoning behind the simple single pivot designs. Well it appears that things have been steadily moving in the right direction for the fledgling UK brand, as McEwan has made the decision to make Starling Cycles his full-time gig, giving up the Aerospace Engineering day job in the process. 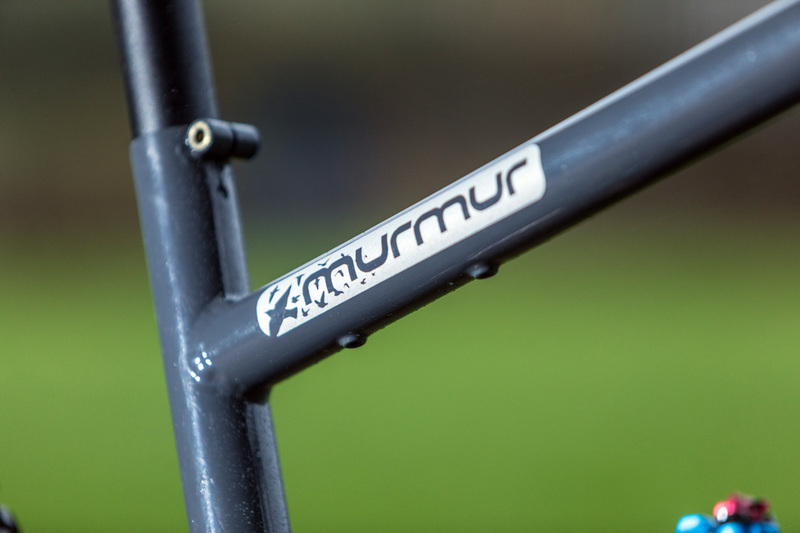 As part of McEwan’s push for the Starling Cycles brand, he’s just unleashed his second production model, called the Murmur. And ain’t she a beauty! With 145mm of rear wheel travel, a steep seat angle and slack head angle, the Murmur 29er is on-trend. Lovely head tube badge detail. 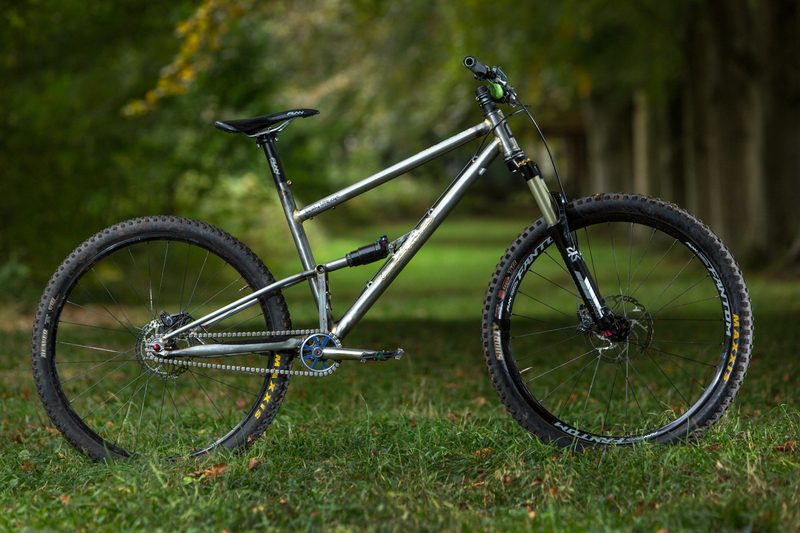 The Starling Murmur shares a similar single pivot suspension design as the Swoop 27.5in full suspension bike, and like the smaller-wheeled version, is also built from steel tubing. McEwan chooses a combination of Reynolds and Columbus tubing to bring the Murmur to life, with a stubby 44mm diameter head tube up front to accommodate a tapered fork steerer tube. 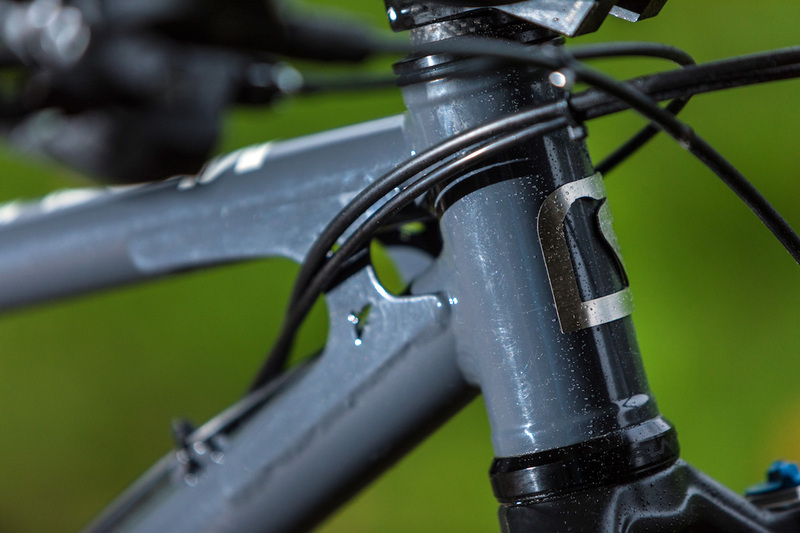 External gussets and braces are used to stiffen key junctions such as the top and downtube interface. 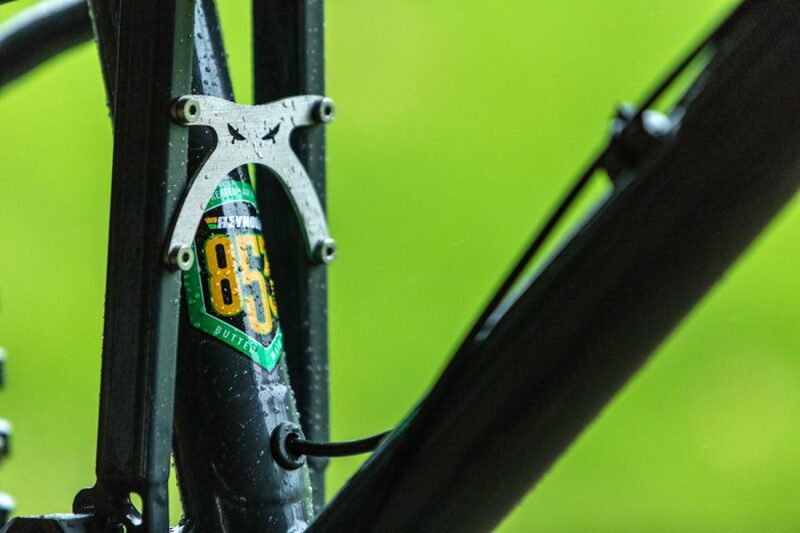 Integrated seat post clamp, and subtle water cage bosses on the underside of the top tube. On the underside of the top tube, you’ll find two bottle cage bosses to fit a water bottle inside the main triangle, albeit upside down. Cotic also do this on the Rocket and Flare frames, which also feature steel tubing for the front triangles and a similarly oriented rear shock placement. Also of note is the tidy integrated seat clamp at the top of the seat tube. A compact and beautifully machined plate bridges the two vertical members of the swingarm together. Depending on what features you require, McEwan is likely able to accommodate them. On this particular Murmur frame, McEwan has built in stealth dropper post routing, with a clean port down at the base of the seat tube providing the entry/exit point for the dropper cable. That said, it’s the polished bolt-on swingarm bridge in this shot that’s getting us gawking at the computer screen – what a beautiful little detail! No dual linkages, no eccentric pivots, and no rocker links. The Murmur’s suspension design is as simple as it gets. 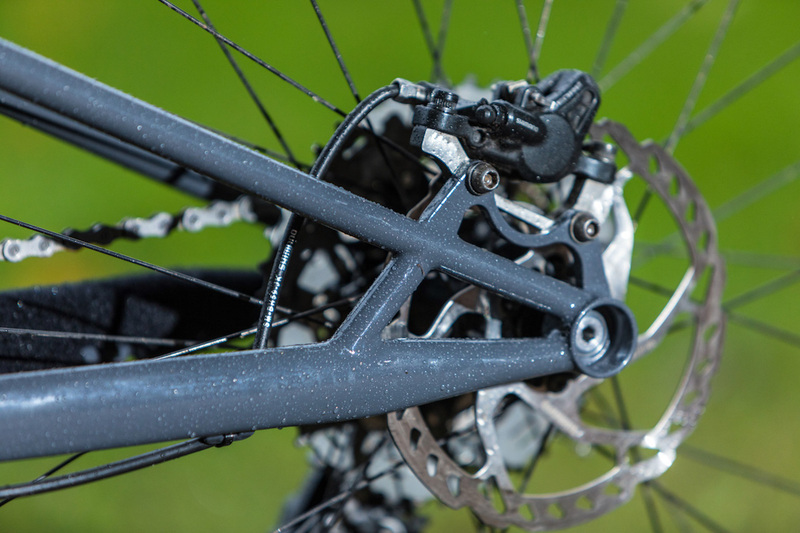 The Murmur is built around a 57mm shock stroke to control the 145mm of rear wheel travel. It’s a simple single pivot design, with a one-piece rear triangle rotating on an oversized main pivot. 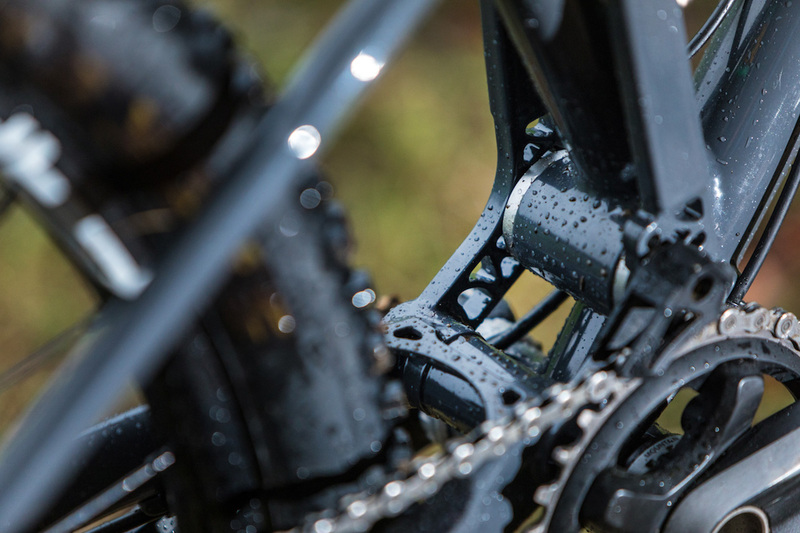 Despite many brands choosing more complex linkage designs for their full suspension models, the single pivot design still has its merits. 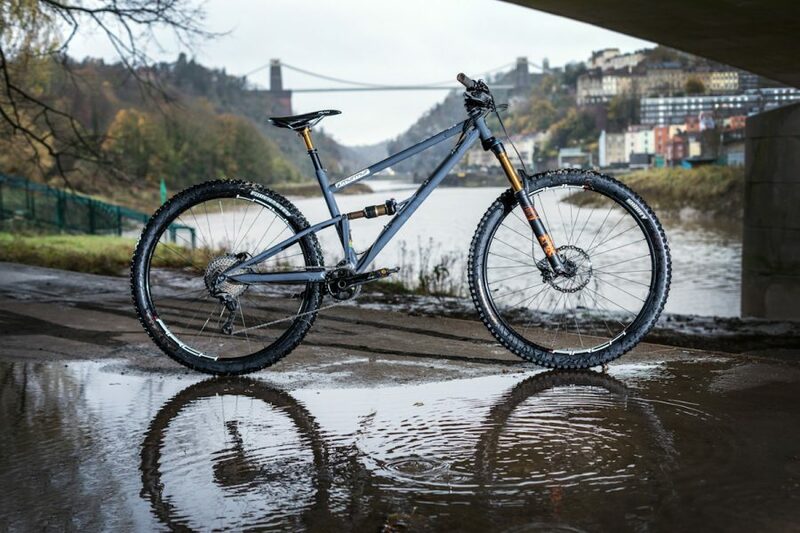 Bigger brands including as Scott, Trek, GT, and Orange still rely on single pivot suspension designs, and in the case of this British made trail bike, it’s the simplicity, durability and wet weather resilience of a mono-pivot that sees it applied here on the Murmur. One pivot with fewer bearings to worry about. The Murmur runs a 1/2in diameter main pivot axle, which is rolling on Enduro 16162RS bearings. This is a commonly used bearing size, and it’s been selected as such for ease of replacement in the event of future maintenance requirements. The bearings themselves are what Enduro refers to as “Imperial Rubber Sealed Deep Groove Ball Bearings”, and they feature Grade 10 chromium steel balls to create a tough little nugget of a bearing. Clean dropouts eschew a quick release lever in favour of a tidy bolt-up axle. Dropouts out back are spaced for a 142x12mm rear hub, with a simple bolt-up axle bringing each side of the swingarm together. The dropouts themselves are a lovely circular cowled number that offers additional surface area for the seat and chain stays to weld onto. The back end is quite svelte next to the current crop of carbon enduro monsters on the market, though the seat stays in particular appear to be quite slender. One could assume this’ll provide a little more ‘give’ in the back end of the Murmur, though we’d have to swing a leg over one first before making any assumptions there. 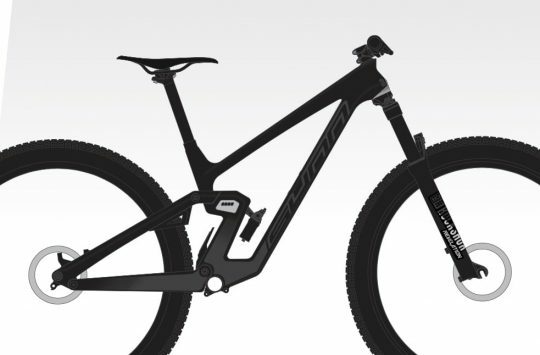 Whether you love the steel construction or not, you’ve gotta admit, this is one unique-looking mountain bike. All up, it’s certainly a unique looking bike, though opinion on the aesthetics is a little divided in the Singletrack office. 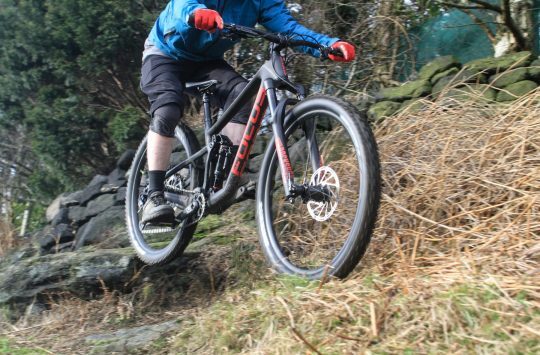 But with a long travel Fox 36 fork up front, a slack 66° head angle and a rangy front centre, the Murmur does appear to have many of the right ingredients for a modern enduro bike. It just happens to be steel and handmade in the UK, which we like. A lot. Currently a prototype, this is the ‘Beady Little Eye’. Singlespeed, 27.5in wheels and 90mm of rear wheel travel. Looks like a bucketload of fun to us! Beautiful bikes and ride amazing. Very light too surprisingly. A friend has the 27.5 Starling. So wish the purse was big enough for one of these!!!! look nice but concerned about that front pivot bearing and the tyre clearance. otherwise id have one on my shopping list.